BH Fitness Cruiser V50 Treadmill is another folding type cruisher treadmill of BH fitness, having special features like integrated speakers and audio-in for mp3 players. 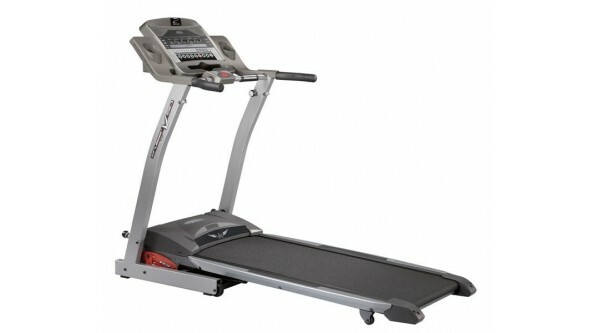 This treadmill has 6 elastomers cushioning system enhanced by PCS technology and also has a sufficient running surface of 131cm / 52” x 54cm / 21” to provide you a comfortable workout. Weight: 89Kg / 196 lbs. Recommended maximum user weight: 120Kg / 265 lbs. Measures Folded: L 112cm / 44”. W 88cm / 35”. H 156cm / 61”. 3 HPP motor -Provides a quiet yet powerful speed between 1~18Km/h. The latest cost of BH Fitness Cruiser V50 Treadmill will be updated soon. *Note: Most of the sites, stores or shopping portals listed above sell BH Fitness Cruiser V50 Treadmill with discounts and other exciting offers. There is a possibility that the some of above websites are not selling BH Fitness Cruiser V50 Treadmill now. Toughtrain.com is not liable for such cases or instances. Also we do not recommend any seller for BH Fitness Cruiser V50 Treadmill and a buyer should buy from where he/she gets best deal with quality of products, service and on time delivery (shipment). I have a CRUISER V50 G6250 . And it doesn’t work anymore. The electric alimentation is OK but nothing works or appears on the LCD. we think there is an electronic pb. Please let me know who should I contact.